Loquacity; talkative, tending to talk a great deal. Tongues or parts resembling them. 1. Of or pertaining to the tongue or a tonguelike organ or part. 2. Glossal; tonguelike; specifically, in phonetics, formed with the aid of the tongue; applied to the dental sounds; such as, t, d, n, and s.
3. Relating to language or languages. 2. Of or pertaining to the tongue, or to any tongue-like part. 3. A reference to the tongue as the organ of speech. 4. Pertaining to language or languages. The quality of being lingual. 1. In a lingual manner; as regards language. 2. 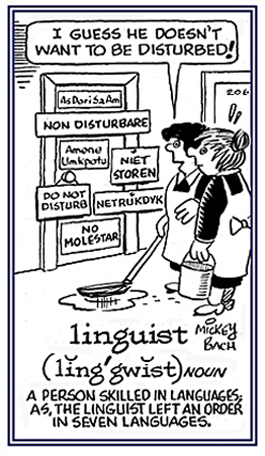 On the lingual side; towards the tongue. Showing page 4 out of 7 pages of 104 main-word entries or main-word-entry groups.